The Vietnam Chamber of Commerce and Industry held a meeting for Vietnamese and Russian businesses in Hanoi on March 14 to exchange cooperation opportunities in numerous fields. Vice Chairman of the VCCI Hoang Quang Phong said Vietnam and Russia boast long-standing economic and trade relations. Vietnam wants to cooperate with Russia in such areas as energy, infrastructure development, oil and gas, and mechanical industry, he said. 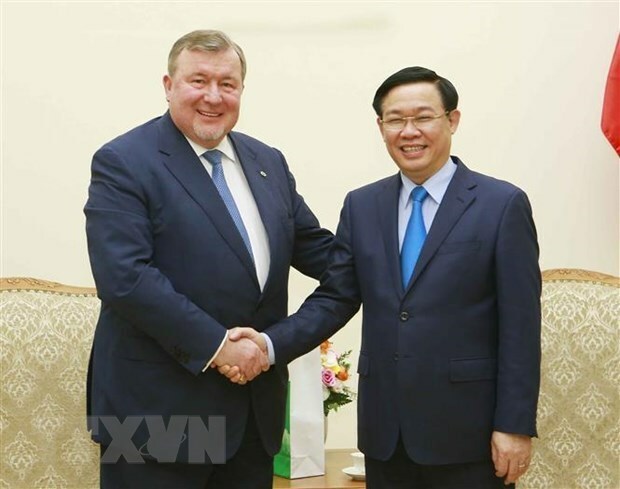 Vietnam will create favourable conditions for and share relevant information with Russian firms to carry out specific projects in the Southeast Asian country, he added. Vietnam is a large market with over 90 million consumers and has political stability. The country welcomes cooperation activities and investment from Russia, he added. In 2018, two-way trade reached 4.57 billion USD. The two countries are aiming for 10 billion USD in bilateral trade by 2020. Vietnam mainly imports machinery, industrial equipment, iron, and steel from Russia; while exporting rice, coffee, and seafood to the market. Vietnamese firms have been implementing investment projects in Russia in the fields of telecommunications, oil and gas exploitation, construction, operation of trade centres, and milk processing, which have reaped encouraging outcomes. 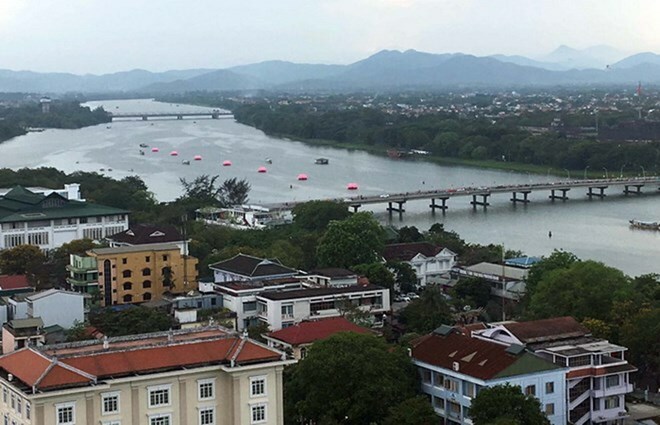 The central city of Hue is making its first attempt to tidy the look of urban places busy with tourists in an attempt to reduce complaints about the messy environment. On March 11, the local People’s Committee made sudden visits to several popular places around the city, including facilities along waterways and roads, to conduct checks on the safety and hygiene of the services they provide. The team, comprised of the committee’s deputy chairman and administrational staff from the local Department of Tourism, visited boats at Toa Kham – a popular river boat station – to check on the availability of life jackets, waste dumping practices and service prices. Boat trips on the famed Huong (Perfume) River in the city are popular among visitors during daylight hours thanks to the beauty of the river and the lively daily scenes along its banks. Boat trips that include ca Hue singing, a traditional musical style of Hue, lure hundreds of visitors every night. Local authorities, however, have for decades failed to control the safety and hygiene of these boats. Visits have also complained of the overwhelming number of stands, tables and chairs present on the pavement of several busy streets, forcing them to walk in the road and putting them at risk of being hit by passing traffic. Complaints also came from those who were stopped or harassed by street vendors, rickshaw drivers and shopkeepers. During the visits, the committee’s Vice Chairman Nguyen Dung asked the Department of Tourism and authorities in related wards to exercise tighter control over tourist hotspots and services to ensure visitors to the city enjoy a pleasant experience. Travel agents in the city applauded the move. 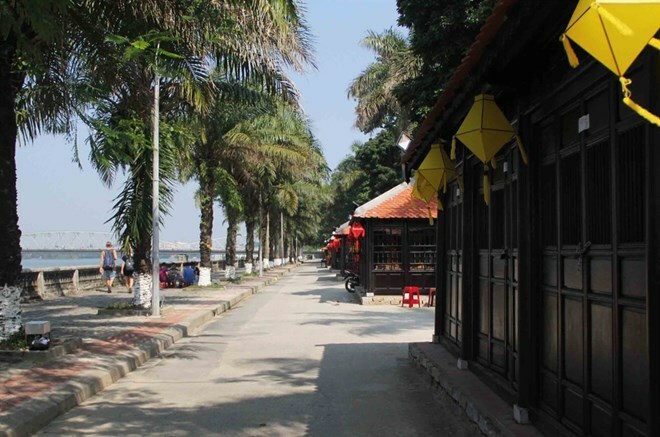 A travel agency director who did not want to be named said this should be the first move of a campaign to ‘clean’ the tourism environment of Hue, one of the country’s most popular destinations. He suggested regular checks on tourism services to improve the public profile of the local tourism sector. The Ho Chi Minh City - Tokyo flights will operate daily from July 12, with a flying time of around six hours per leg. Flights depart Ho Chi Minh City at 12.05am and arrive in Tokyo at 8am. The return flight takes off from Tokyo at 9am and lands in Ho Chi Minh City at 1.05pm (all local times). The Nha Trang - Busan flights, meanwhile, will operate four days a week from July 16, with a flying time of around four hours and 40 minutes per leg. Flights depart Nha Trang at 11.50pm and arrive at Busan at 6.30am. The return flight takes off from Busan at 8.05am and lands in Nha Trang at 10.45am (all local times). The Speedtest Awards for the fastest 3G/4G mobile network operator in Vietnam has just been delivered to VinaPhone, a subsidiary of the Vietnam Posts and Telecommunications Group (VNPT). This is the result of the statistics taken from millions of Vietnamese Speedtest users in the last two quarters of 2018. Speedtest by Ookla, the most popular tool in the world to test the speed and performance of internet connections, normally release its ranking list for many countries twice a year. In February 2019, Speedtest announced the ranking on 3G/4G connection speed among Vietnamese network operators. This ranking is made thanks to the data from Speedtest users in the third and fourth quarters of 2018, taken in the event of Mobile World Congress in Bacelona of Spain. Accordingly, VinaPhone is considered by Vietnamese customers as the fastest 3G/4G network provider. The coastal city of Danang in central Vietnam has encountered multiple challenges with developing the city into a food-smart one in the next five years, said attendees at a seminar held in the city on March 12. At the seminar, titled “Strategies to develop Danang into a food-smart city in the 2020-2025 period with a vision to 2030”, most of the participants agreed that it is hard to control the origin of products transported into the city. The city consumes an average of some 140,000 tons of fresh vegetables and fruits annually, with only 6.5% being produced at home. The rest is purchased from 15 other cities and provinces and other countries. Additionally, 37,500 tons of pork and poultry meat is bought per year, mainly from Binh Dinh Province (70%). Thai Thi Minh, director of Belgium’s non-governmental organization Rikolto in Vietnam, said Danang has signed agreements with other localities over the supply of products to the city. However, the move seems to be ineffective in tracing the origin of the products. Minh advised the city to establish more cooperatives, set standards for vendors at traditional wet markets, develop human resources and enhance control over street food to conduct six strategies to develop the food-smart city, including strategies on governance, technology, competitiveness, closed value chains, food sales at traditional markets and communication. According to Diep Hoang Thong Anh, head of the management board of Hoa Cuong wholesale market in the city, Danang currently depends on the supply of food from other localities, mainly due to the inadequate capacity of its cooperatives and suppliers. Charlotte Flechet, an expert from Rikolto, said that she had studied the demand for food in Danang City and found similarities with that of Ghent, a city in Belgium. Only a quarter of Belgian children eat two vegetable rations daily and the people tend to pay less importance to the origins of food. In order to successfully develop a food-smart system, Danang should work toward five main goals: creating smaller supply chains, supporting food production and consumption, raising the social value of food projects, reducing food waste and reusing food waste, she added. Danang Vice chairman Le Trung Chinh agreed with Flechet, saying that Danang is facing the same fate as Belgium. Most children in the city prefer meat and fish to vegetables, posing a high risk of obesity, as well as an imbalance in the production and supply of food in the city. While the court has not reached a conclusion on its lawsuit against Grab, Vinasun reported falling profit and staff in 2018. According to Vinsaun’s consolidated financial report for the last quarter of 2018, the firm recorded VND516.5 billion ($22.45 million) in total revenue, up 6.2 per cent compared to 2017. Meanwhile, the cost of sales only increased by 4.5 per cent, which means Vinasun still achieved VND112.8 billion ($4.9 million) of gross profit, up 11.3 per cent over the same period last year. The positive point of Vinasun in 2018 was that business management costs by 39 per cent to VND39.5 billion ($1.72 million). On the contrary, profit in this period fell by 61 per cent more than during the same period to only VND34.7 billion ($1.5 million). Therefore, the total pre-tax profit of Vinasun decreased by more than 22 per cent over the same period, reaching VND45.8 billion ($1.99 million). After-tax profit was recorded at VND33.8 billion ($1.47 million), down 23 per cent ($1.8 million in 2017). In 2018, Vinasun collected VND1.82 trillion ($79.1 million) in total revenue, down more than 29 per cent compared to 2017 (VND2.7 trillion – $117.39 million). Passenger transport service by taxi remains Vinasun’s major income line, reaching VND889.8 billion ($38.69 million). This figure is only equal to 43 per cent of the same period in 2017. Meanwhile, revenue from franchising surged by 55 per cent to VND877.7 billion ($38.16 million) and became one of the main revenue sources. After deducting all kinds of expenses, Vinasun's operating profit in 2018 was only VND11.1 billion ($482,600). Profit was earned mainly from other sources. However, these alternative profits were only half of those from the previous year, at VND100.2 billion ($4.36 million). This is partly due to the decline in revenue from the liquidation of fixed assets. In 2018, this figure was only VND48.5 billion ($2.1 million), only equal to 29 per cent of the figure in 2017. Currently, Vinasun has only one subsidiary, Vinasun Green JSC in which it holds 90 per cent of the equity. Continuing the process of restructuring and promoting franchising activities, the number of Vinasun's employees in 2018 decreased by 356. Previously, throughout 2017, as profit plunged, Vinasun laid off more than 10,000 of its employees. Retail giant Mobile World is the latest player to offer genuine branded watches, following jewelry retailers PNJ and DOJI. Mobile World, the electronics retail chain of leading retail conglomerate Mobile World Investment Corporation (MWG), has announced that it will be selling a series of genuine watches that cost under VND10 million ($431.82) each. These products will not form a new retail chain, but will be added to the existing electronics repertoire of Mobile World, and initially sold online, primarily. Mobile World is not the first entrant to this market. Major jewelry retailers Phu Nhuan Jewelry JSC (PNJ) and DOJI Gold and Silver Group (DOJI) have already been trying to cater to the demand for genuine watches. Although it has piloted watches in its jewelry retail mix since 2012, PNJ only gives its watch business a real push from the beginning of this year. The company has since established 20 outlets called PNJ Watch, concentrated mainly in Hanoi and HCM City. DOJI is a newer entrant, having started test-selling watches in late 2018, but is primarily focused on the low-cost segment of under VND10 million ($431.80). According to an analyst with financial firm Viet Dragon Securities Company (VDSC), the watch market in Vietnam is worth around VND17 trillion ($734.09 million), but is highly fragmented with little transparency on product origin. "In Vietnam, there are only a few authorized retail stores and warranty centers for watches. Great demand with limited supply leads to fake products being rampant in the market. This is a long-term problem in the watch industry," the VDSC analyst said. However, he also warned that although the market is lucrative, entrants may find this segment "hard to chew". "Although demand is large, not everyone wants genuine watches whose prices are significantly higher than what Vietnamese consumers are willing to pay," the VDSC expert explained. Minister of Planning and Investment Nguyen Chi Dung said at a recent conference that while Vietnam’s GDP per capita had surged by 27.4 times in the last 30 years to almost $2,590 last year, Malaysia had achieved this figure 20 years ago. The carrier introduces two new international routes – Ho Chi Minh City (Vietnam) – Tokyo (Narita – Japan), Nha Trang (Vietnam) – Busan (the Republic of Korea), which aim to connect the popular tourism cities, meeting the moving and travelling demands of local people and tourists as well as contribute to promote regional trade and integration. The HCM City – Tokyo route will operate daily return flights from July 12, 2019. Flying time is around six hours per leg. The flight departs from Ho Chi Minh City at 00:05 and arrives at Tokyo at 08:00. The return flight takes off from Tokyo at 09:00 and lands in Ho Chi Minh City at 13:05. Meanwhile, the Nha Trang – Busan route will operate four return flights per week from July 16, 2019. Flying time is around four hours and 40 minutes per leg. The flight departs from Nha Trang at 23:50 and arrives at Busan at 06:30. The return flight takes off from Busan at 08:05 and lands in Nha Trang at 10:45. The promotional tickets are applied for all international routes to Tokyo (Narita – Japan), Osaka (Kansai – Japan)/ Seoul, Busan, Daegu (the RoK)/ Kaohsiung, Taipei, Taichung, Tainan (Taiwan)/ Singapore/ Bangkok, Phuket, Chiang Mai (Thailand)/ Kuala Lumpur (Malaysia)/ Yangon (Myanmar), and Siem Reap (Cambodia) and Thailand’s local routes. Flying time is applied from May 14, 2019 to December 31, 2019. Particularly, for the Ho Chi Minh City – Hong Kong and Phu Quoc - Hong Kong routes, the promotion is applied all day long during three golden days. First held in 1994, the annual MITT is among the five biggest tourism expos in the world, consisting of hundreds of seminars and press conferences. The Vietnamese space at the event features promotion publications, images and maps in Russian and English, with a highlight being a large board welcoming visitors to the central province of Khanh Hoa and its coastal city Nha Trang. Khanh Hoa is hosting National Tourism Year 2019 themed “Nha Trang – Colour of Sea”, which includes various tourism activities, including a marine festival week and a Hong Kong-Nha Trang yacht race. Speaking at the event, Dinh Ngoc Duc, head of the VNAT Tourism Marketing Department, said Russia is among the top 10 markets of the Vietnamese tourism sector. 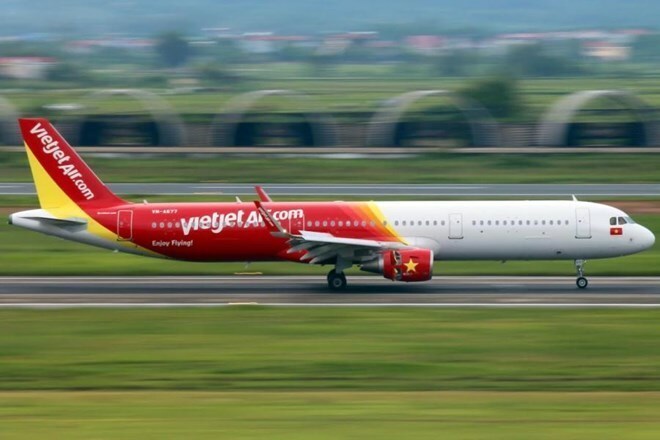 The two countries have sound political ties and are connected by direct flights, while Russian demand for Vietnamese tourism products is rising. According to the VNAT, the number of Russian tourist arrivals in Vietnam grows by 30 percent annually on average, with the total number of arrivals expected to reach 1 million by 2020. In 2018, 600,000 Russian people visited Vietnam, raking 6th among all countries in terms of visitor numbers. It aims to increase industrial production value in rural areas to 13.5-15 trillion VND (562 million – 648 million USD), a 17-17.5 percent annual increase. Eighty-five percent of the total investment will come from social sources, and the remainder from the local support fund. The province will prioritise developing infrastructure at industrial clusters and trade villages as well as raising competitiveness for rural industrial establishments. It will focus on developing markets for rural industrial products and material supply areas. Localities in the province will promote their strongest industrial products such as agro-forestry-fishery and beverages, handicrafts, mechanical equipment, construction materials, garment-textiles and footwear. About 2,500 delegates are expected to participate in the Vietnam Online Business Forum 2019 in three major cities of Ha Noi, Da Nang and HCM City this month, according to the Ministry of Industry and Trade’s Vietnam E-commerce Association (VECOM). According to head of the VECOM’s office Tran Van Trong, participants will focus on ‘hot’ topics which directly impact businesses such as competitiveness, legal corridors and the transformation of Industry 4.0. Participating delegates will talk about information, trends and solutions in multiple fields relating to e-commerce such as marketing, delivery, payment, technology, start-ups, and foreign investment. “This year’s forum will continue discussing topics about start-ups in e-commerce, targeting to bring more valuable experience for the young start-up community of Viet Nam,” said Trong. The Vietnam e-commerce index 2019 will be announced at the forum. After eight consecutive years, this index has become a reliable source of information reflecting the current situation, outstanding issues and the development trend of e-commerce both nationally and locally, contributing to building policy, law, State management and business operations. Director of VECOM Nguyen Ky Minh said 2018 was the busiest year for online business with a growth rate of over 30 per cent, equivalent to US$7.8 billion, much higher than the $4 billion in 2015. “If the growth rate of 2019 continues to be at 30 per cent, the market size will reach $13 billion next year. This scale will exceed the target set in the Government’s e-commerce development plan for the period of 2016-20, that is $10 billion in 2020,” Minh said. Along with logistics services and order fulfillment, online business start-ups will have opportunities to access public services as well as flexible capital mobilisation capabilities,” he added. The forum will take place in Ha Noi, Da Nang and HCM City on March, 27, 15 and 29, respectively. Gelex Electric Equipment Co Ltd has purchased 27 million shares, or 6.02 per cent of Viglacera Corporation’s capital, lifting its stake to 9.8 per cent, the Ha Noi Stock Exchange announced. Gelex Electrical Equipment Co Ltd is a subsidiary of Gelex Electrical Equipment Joint Stock Corporation (GEX) which is trading shares on the Ho Chi Minh Stock Exchange. This quantity was equal to the amount of shares that Dragon Capital fund group sold via negotiation method worth total VND887 billion (US$38 million), equivalent to VND20,000 ($0.86) per share, in the two sessions in late February. 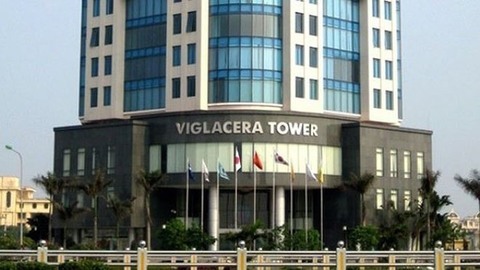 Shares of Viglacera, coded VGC, has climbed more than 21 per cent in the last two months to VND21,800 per share on Tuesday. The price hike was attributable to speculation that the Ministry of Transport (MOT) will offload its stake in Viglacera this year, which it failed to sell last year due to gloomy market conditions. Early this month, MOT approved the divestment plan following which it will sell 80.58 million Viglacera’s shares, equivalent to 17.97 per cent of the company’s charter capital, in an auction, slated for March 29, on the Ha Noi Stock Exchange. These shares will be sold for a minimum price of VND23,000 per share, valuing the deal at VND1.85 trillion ($79.5 million). After the sale, MOT will retain 36 per cent of Viglacera’s capital and veto power. 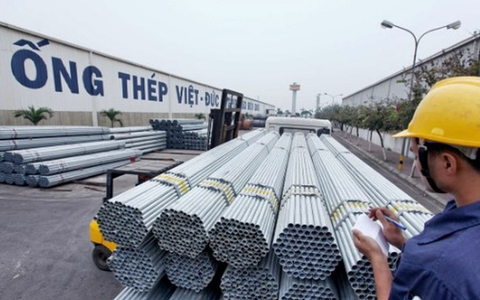 Members of the Viet Nam-Germany Steel Pipe JSC (VGS) management board plan to buy 14 million shares between March 13 and 29 via the stock market. Le Minh Hai, chairman of the company, has registered to purchase six million shares and his relatives – wife and daughter – want to buy five million VGS shares. Hai holds more than 3.2 million VGS shares (7.6 per cent of the total). The two others have 2.6 million shares and more than 970,000 shares, respectively. The deal is expected to help Hai and his relatives increase their stakes in the company to 21.8 per cent, 13.4 per cent and 7.04 per cent, respectively. In addition, the company’s general director Nguyen Huu The has also offered to buy one million VGS shares to raise its ownership to 1.29 million shares (3.1 per cent) from 293,440 shares (0.7 per cent). Deputy general director Nguyen Thi Nhi wants to increase her stake by 4.75 per cent to 5.6 per cent, equal to 2.4 million shares, by purchasing two million shares. VGS is listing nearly 37.6 million shares on the Ha Noi Stock Exchange with code VGS. The company shares have gained significantly by nearly 55 per cent from January 11, 2019. Its shares ended up 1.6 per cent to close Tuesday at VND12,700 (US$0.54) per share. Real estate firm LDG Investment JSC has targeted raising its total revenue in 2019 by 91 per cent to VND3.3 trillion (US$141.6 million). But this year, forecasts show profits are likely to fall by VND4 billion to VND600 billion. According to company chairman Pham Khanh Hung, the target profit of VND600 billion was reachable, though it was considered below shareholders’ expectations. As the market conditions may get worse this year, there was no reasons to set higher goals, Hung told the firm’s annual shareholder meeting on Monday. The company also planned to make a 25 per cent dividend payout in bonus shares for its performance in 2018, instead of 10 per cent dividend in cash and 15 per cent dividend in bonus shares as approved by shareholders. The company would issue 47.6 million bonus shares for its 2018 dividend payment, and issue two million ESOP shares for its employees. The share issuance will increase its capital to VND2.4 trillion from VND1.9 trillion. Additional capital will be used to develop new projects of a larger scale and higher quality over the next five years. Shareholders at the meeting also approved the firm’s dismissal of Nguyen Pham Anh Tai from the board of directors. The replacements were Luong Tri Thao and Le Van Hung. The company has more than 190.6 million shares listed on the Ho Chi Minh Stock Exchange with the code LDG. It ended Tuesday flat at VND14,100 per share. 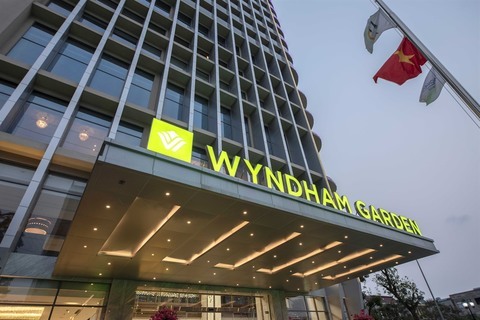 Wyndham Hotel & Resorts, the world’s largest hotel franchising company, officially launched its first hotel in Viet Nam with the opening of Wyndham Garden Hanoi. 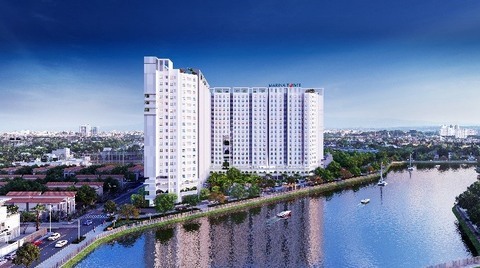 The upper-midscale hotel was developed by PPC An Thinh Investment and Infrastructure Development JSC (PPCAT) and will operate under a management agreement with Wyndham Hotel & Resorts. Located in one of Ha Noi’s fastest developing districts – Nam Tu Liem, just 20 minutes from the city centre and 40 minutes from Noi Bai International Airport, the hotel has 112 rooms embracing natural materials and contemporary architecture. “Wyndham Garden is one of our most exciting brands, and I am delighted to be able to introduce it to guests in Viet Nam,” said Joon Aun Ooi, president and managing director of Wyndham Hotels & Resorts, South East Asia and Pacific Rim. Viet Nam’s tourism industry is currently riding the crest of a wave, Ooi said, adding that the country welcomed a record 15.5 million international visitors in 2018, up 20 per cent year-on-year. “With an array of attractions, excellent connectivity and tourism-friendly government policies, I’m confident that Viet Nam’s star will continue to rise in the future,” he said. Wyndham Garden Hanoi is Wyndham’s second property in Viet Nam, following Wyndham Legend Halong. Wyndham is also collaborating with PPCAT on another hotel project, Wyndham Soleil Danang, which is scheduled to open later this year. State budget revenue in the first two months of this year totalled nearly VND246.5 trillion (US$10.6 billion), representing a rise of 18.2 per cent over the same period last year and equivalent to 17.5 per cent of the Government’s target for the full year. Domestic revenue was estimated at VND204.8 trillion, increasing by 19 per cent, latest updates from the Ministry of Finance revealed. 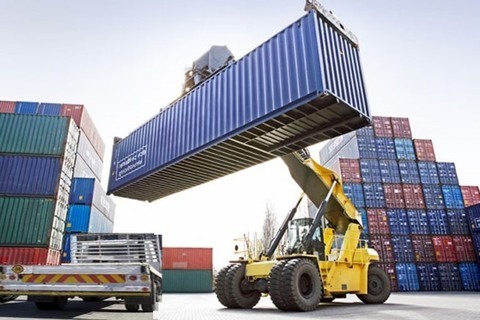 The ministry also said that budget revenue from import and export activities in January-February was up 16.8 per cent to VND51.5 trillion, adding that import-export retained growth momentum in the two-month period. Earnings from crude oil fell 1.7 perc ent to VND8.7 trillion. Budget spending was estimated at VND195.4 trillion in the period, or 12 per cent of the plan for the full year. The spending was up by 9.6 per cent. The Government spent a total of VND60.3 trillion on paying debts, more than 34 per cent of which was on interest. In January-February, nearly VND62.2 trillion worth of Government bonds were issued. The ministry said that it would work to ensure sufficient capital for the implementation of socio-economic targets. 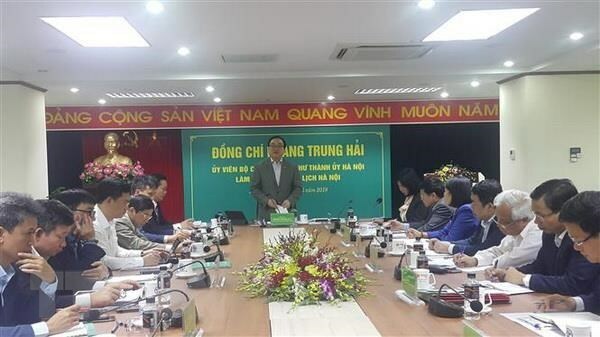 The ministry also asked the General Department of Taxation and the General Department of Viet Nam Customs to carry out efficient State budget collection measures, step up inspections on tax collection and enhance the management of tax debts. 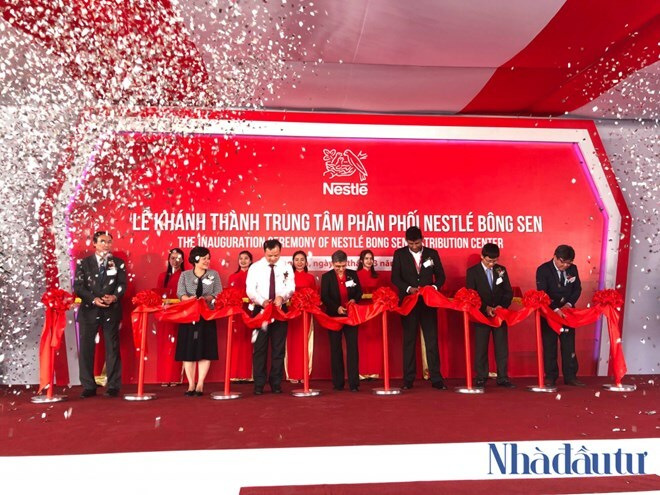 Nestle Vietnam inaugurated its largest distribution centre in Vietnam’s northern region in Hung Yen province on March 12. Nestle is operating six plants in Vietnam with more than 2,300 employees. The group’s investment in the country has almost reached 560 million USD. He spoke highly of the IIB’s operations in Vietnam via offering loans to banks and financial institutions. For IIB’s sustainable development, the Deputy PM said the Vietnamese government vows to contribute committed capital to the lender in the near future. According to the Deputy PM, Vietnam’s capital demand is huge, given its annual economic growth of 7.5 percent. Thanks to restructuring, domestic banks become better resilient to external shocks. Vietnam has done well in coordinating fiscal and monetary policies to stabilise its macro-economy, which will facilitate the IIB’s activities in the country, he said. 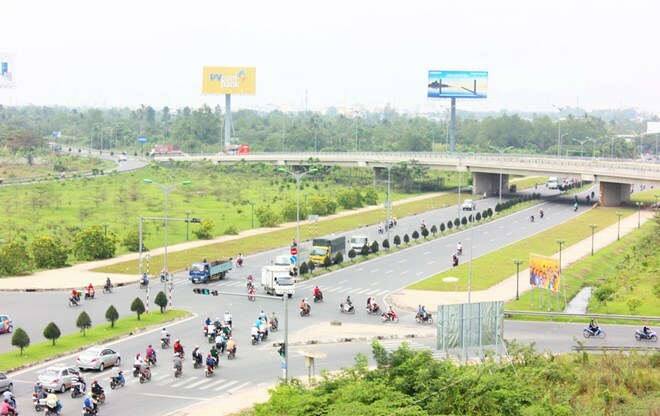 Welcoming the IIB’s lending programmes for small and medium-sized enterprises (SMEs), as well as banking and financial institutions in Vietnam, the lender said firms’ capital demand for infrastructure, especially those regarding transportation and energy, is huge. He hailed Vietnam for its fastest economic growth and second largest population in the IIB. However, its stake in the lender only accounts for 4 percent of the total. The guest suggested that Vietnam assign experts in charge of loans to the IIB office in Moscow. He expressed his wish to open a representative office in Vietnam to better connect with firms and consider bond issuance in the country. Discussions focused on suggestions for bilateral cooperation and connectivity amongst multiple sectors to develop the friendships between Can Tho and French localities in the near future. At the event, Vice Chairman of the municipal People’s Committee Truong Quang Hoai Nam said that amidst the widespread and effective development of Vietnam-France strategic partnership, more and more French localities are seeking cooperation opportunities with Vietnam, notably between Brest and Hai Phong, Val-de-Marne and Yen Bai, Aquitaine and Thua Thien-Hue, and Ile-de-France and Hanoi. During the upcoming conference, Can Tho is determined to step up bilateral ties with French localities in the key areas of arts training, cultural heritage preservation, urban transportation, renewable energy and environmental protection, and climate change response. In urban transportation, the city will call for support from French experts in a transportation upgrade project in core and outlying areas. At the same time, Can Tho has set the goal of attracting French coordination in developing renewable energies, looking to pilot a new project on tapping renewable energy in high-tech agriculture or seafood processing which will then be spread to cities and provinces in the southwest, making Can Tho a locomotive in clean energy use. To improve its resilience to climate change, the city is determined to work with French localities to carry out clean air, greenhouse emission reduction, water drainage management, and wastewater treatment projects. The conference will afford Vietnamese and French authorities and key economic zones a chance to share experience, as well as form effective and sustainable economic partnerships among localities. This year’s event will attract over 1,000 delegates from 20 French and nearly 40 Vietnamese cities and provinces, the highest number since the first event was held in 1989. It is expected to make a breakthrough in bilateral ties, especially at a time when Vietnam and the European Union are on the verge of signing a free trade agreement. The most funded startup categories in Vietnam last year were all based on advanced technological applications. A report recently released by Topica Founder Institute (TFI), a startup accelerator program in Vietnam and Thailand run by Hanoi-headquartered multinational educational technology company Topica, says 92 major investment deals totaling $889 million were struck in Vietnam last year. The investment in Vietnamese startups tripled from 2017. Among these, the top five areas in attracting funding were Fintech, E-Commerce, Travel Tech, Logistics and Education Tech. Fintech ranked first with eight deals worth $117 million last year, according to TFI. Experts have said that Vietnam has a lot of potential for fintech development. According to a report by consulting firm Solidiance, the value of Vietnam’s fintech market is set to increase from $4.4 billion in 2017 to $7.8 billion in 2020. But fintech remains a new category in Vietnam with a small-scale ecosystem compared to other ASEAN members like Singapore and Indonesia, it said. While most startups are currently operating in online payment, e-wallet and peer-to-peer lending, the market lacks development in insurance tech, credit scores and crowd-funding, it added. E-commerce attracted five major deals with a total investment of $104 million last year. The e-commerce market in Vietnam has a promising future with 53 percent of the population using the Internet and almost 50 million smartphone subscriptions among population of over 94.6 million, according to the Vietnam E-commerce Association (VECOM). Data from Statista also shows that Vietnam’s e-commerce sector grew 29.4 percent last year from 2017, making the country the sixth largest market in Southeast Asia. The number of e-commerce customers grew by 2.6 percent from 2017 to 49.8 million last year, accounting for over half of the country’s population, according to the Vietnam E-commerce and Digital Economy Agency (iDEA). Dang Hoang Hai, head of iDEA, estimated that the e-commerce market in Vietnam could be valued at $13-15 billion next year, instead of the previously estimated $10 billion. Eight major travel tech deals worth $64 million were signed last year, according to TFI. The funding was obtained by online flight and accommodation booking services like Vntrip, Luxstay and Atadi. Pham Mai Linh, CEO of Bill&Bros, which develops technology for travel services, said that the travel tech market is full of potential as increasing numbers of people seek to travel and enjoy life. The development of social networks allows more travel services to be established, leading to higher demand, she said. Logistics startups in Vietnam raised $54 million last year. Vietnam has seen new startups in the logistics sector in recent years, including "Uber for truck" app Logivan and ride-hailing FastGo. With over 1 million trucks, the truck transport market is worth $23 billion with an annual growth of about 14 percent, it is estimated. But 90 percent of transport businesses are small operations with less than five trucks, and 70 percent of trucks return empty after dropping off their load. This makes the logistics cost over GDP ratio in Vietnam high at 23 percent, compared to 15 percent in China and 8 percent in Singapore. With 23.4 million students in a fast-growing economy, Vietnam is seen as a market with great education tech (edtech) potential. Last year, edtech startups in Vietnam raised $54 million.